Hey guys and gals, Sarabii here! I recently finished watching Charlotte, and it was such a beautiful anime that I instantly felt that I had to dub it, so that's what I'm going to do! 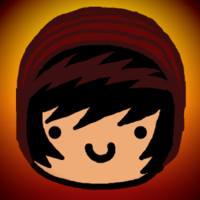 But, I need your help (because I can't voice everybody DX)! I'll deal with the directing, editing, and script adapting, but I will happily appreciate and accept any help in editing and/or adapting offered to me. This is only a casting call for the first half of the anime (the first 7 episodes). I will make a new casting call for the second half (6 episodes) when we get closer to those episodes. Brief Synopsis: Yu Otosaka has the ability to possess the body of a person for 5 seconds, and he uses that ability to get into a prestigious high-school. 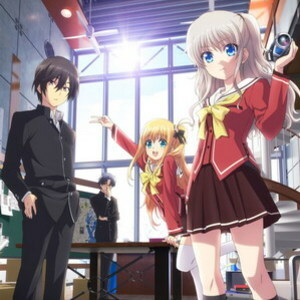 After a series of unfortunate events, he gets apprehended by Nao Tomori and the Student Council of a different school, Hoshinoumi Academy, and is forced to transfer there so that he can help them stop other people like him from misusing their abilities, which are a disease that many people catch in their adolescence. 1. Have a good mic (no background noise, clear representation of your voice, etc.). 3. Stick with this project to the end. Finally, I will be voicing the main protagonist, Yu Otosaka, myself, and I apologize for the inconvenience. Hey, that's the guy who scored the highest on the entrance exam! That means he's freaking smart! And hes good-looking, too! Hey, what the hell do you think you're doing?! Huh? What? Where am I? 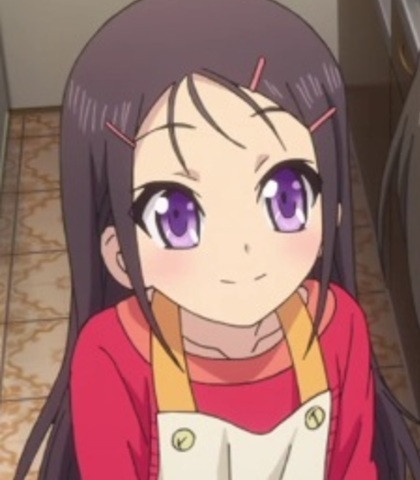 Ayumi is the cute, hyperactive younger sister of Yu Otosaka, and she acts as his sole family member. She is a super hyper and cute character, is a fan of How-Low-Hello, and likes to refer to herself in the third person. She needs the cute medium-high voice of a 12 year-old girl. Uwaahh! This is an amazingly huge room! Can Ayu really use it all alone with Yu-Onii-chan? Yumi is a recurring character who is the madonna of the elite-school Otosaka gets into, and is the girl he initially deems worthy to be his girlfriend. She enjoys pancakes at her favorite cafe and is best friends with Mishima, who she refers to as Mitchon. She needs a medium-high female voice. Yeah, Mitchon, I think he might be your type. What? No! I dont like him like that! Um! We were just about to go eat our favorite pancakes, and since you just saved my life...would you like to come with us? I understand. I will never stop being grateful for you saving my life that day, but this is where we must part ways. 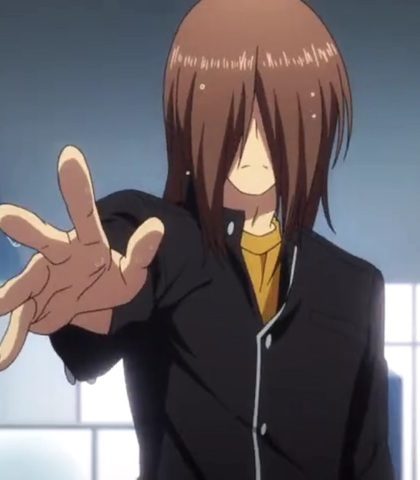 Kumagami is the mysterious student at Hoshinoumi Academy whose ability is to locate other people with abilities. He uses this ability to aid the Student Council apprehend said ability users, and save them from getting captured and tested upon by scientists. He needs a medium-low male voice. Hm? P-Pooh? You already know who I am? Then that makes things a whole lot simpler. 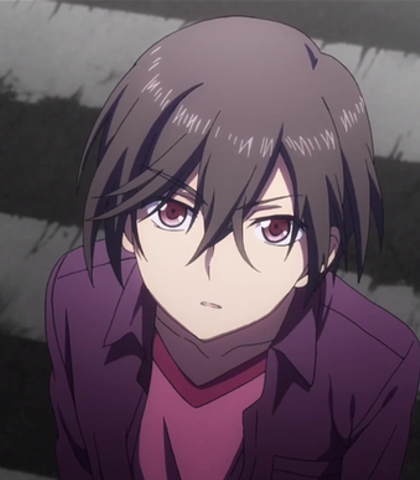 Kazuki is the older brother of Tomori, who in the past had been captured and tested on by scientists because of his ability to control air vibrations. Prior to this, he was going to sign with a major music label as a guitarist, and had been a very passionate fan of the band ZHIEND. He needs a medium-low male voice (NOTE: he will be doing a lot of crazy screaming, so you must be able to do that without clipping/peaking your mic). (normal happy older brother)Oh, hey Nao. Welcome back home. (indignant older brother)Hey! Theyre not just any other band; theyre ZHIEND! Their music has a way deeper sound than anything else I've heard before. Otosaka initially is a selfish, manipulative first-year high school student who has the ability to possess a persons body for 5 seconds, an ability he uses to his advantage to get enrolled in an elite high-school. 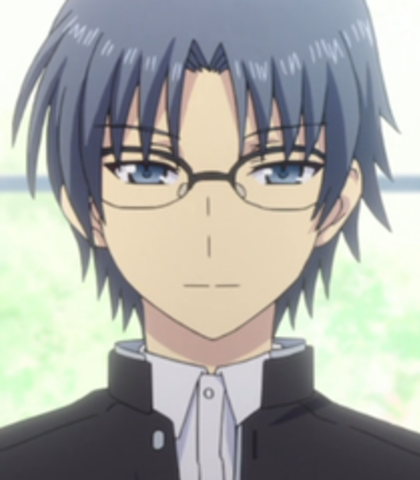 After a series of events, he is apprehended by Tomori and Takajo and transferred over to their school, Hoshinoumi Academy, so that he can not only stop misusing his power but to also help them stop others do the same. He needs a medium-low male voice. Ever since I was little, I've had a single question on my mind. Why am I only myself, and not someone else?" (smugly) Hm. Hm. *evil laughter* Oh wait, I shouldn't do this out loud. I guess I'll hurry on over. This is by far the worst thing that has ever happened to me. 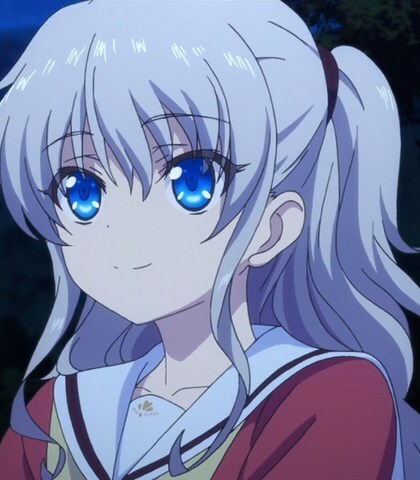 Tomori is the hardworking Student Council president at Hoshinoumi Academy, despite the fact that she is only a first-year. She is bold, stubborn, and short-tempered, but has a good heart. She is a huge fan of the band ZHIEND, which was her brothers favorite band. She has the ability to become invisible to one person (imperfect invisibility). She needs a medium-high female voice. Why don't you try playing fair for once in your life, Yuu Otosaka-kun the cheater? 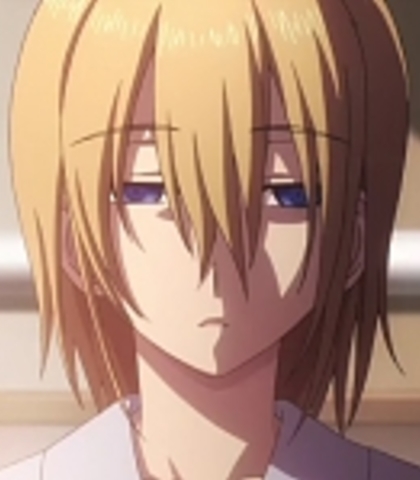 -Hello there, I'm Tomori, the student council president...of another school, though. -Hello! Excuse me! I've already let myself in! -I know right? Ahh, meat and grilled corn are definitely the best at a barbecue~! -Oh yeah! You totally understand their music! They're totally awesome, right? Yusa is an idol and the vocalist of the band How-Low-Hello and is otherwise known as Yusarin to her fans (and, interestingly enough, herself). 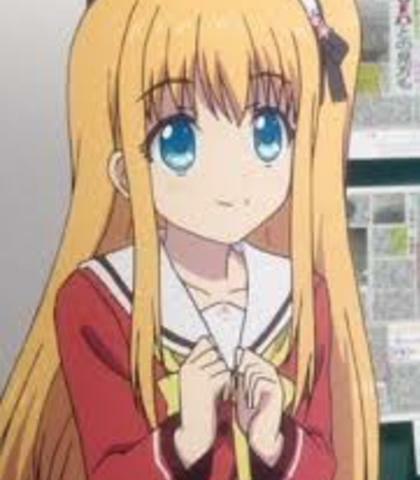 She is light-hearted, cute, sweet, and innocent; all very similar aspects to Otosakas little sister, Ayumi. Shes kind and has magic spells in her TV show that help people. Her ability of Spiritism, in which she can channel the dead (i.e. get possessed by deceased spirits). She needs a cute medium-high female voice. NOTE: She must be able to sing (she will be doing English versions of her songs in the show). Oh? Did I fall asleep and wake up in a different place again? (sing-songy) Make up with him! Make up with him! Making up with a magic spell! There! The two of you have now made up! Takajo is a loyal member of the Student Council at Hoshinoumi Academy and an even more loyal and dedicated fanboy of Yusarin, the lead singer of the group How-Low-Hello. 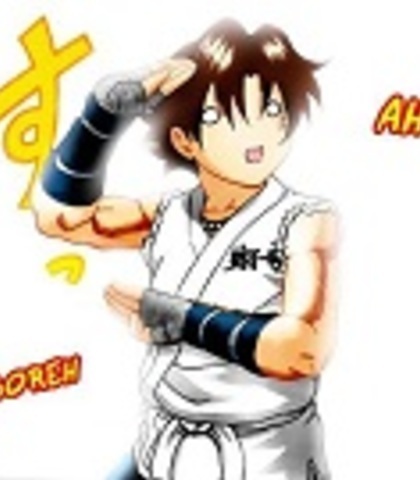 He can seem pretty serious when necessary, but can easily turn into a goofy guy, especially when he fangirls over Yusa. His ability is super speed, but he cannot stop at exact places and tends to get injured regularly. He needs a medium-low male voice. (fangirling) Yusarin?! It's the real Yusarin right before my very eyes! I think I'm going to faint! (intense) There it is! Yusarin's magic spell series, #13! The spell for making up! 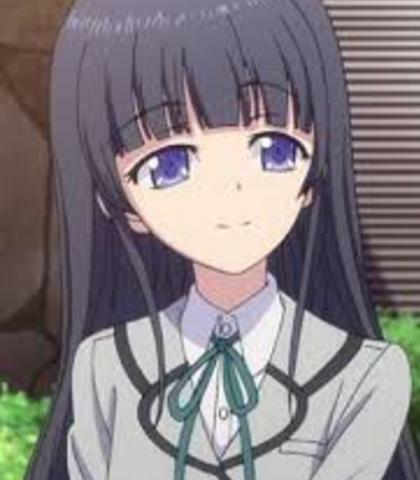 Misa is the deceased older sister of Yusa Nishimori (whose last name is really Kurobane), who is able to possess Yusarin through her Spiritism ability. She has the ability of pyrokinesis, or fire manipulation. 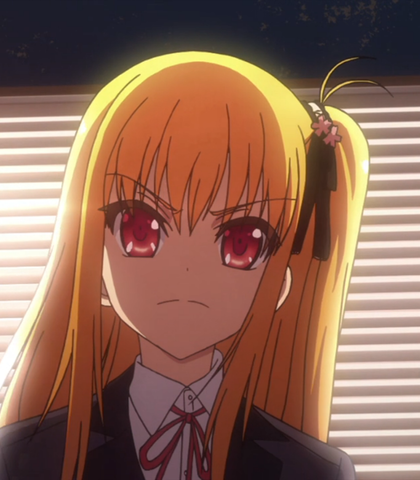 Unlike her sweet, innocent sister, Misa is a badass and usually solves problems using her special sense. She needs a medium female voice that is deeper than her sisters. Oh? You're not going to shut up? Then how about I burn shut that mouth of yours? Ugh! I can keep up with the speed of the ball, but Yusa's body is too weak and slow to hit it! What do you want? Why have you summoned me? This had better be good.